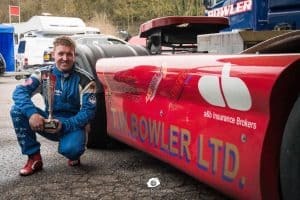 Fuel Card Services are proud to announce the sponsorship of the TW Bowler Truck Racing Team. The team are formed from TW Bowler LTD, a plant, waste and heavy machinery haulage company based in the North West of England. 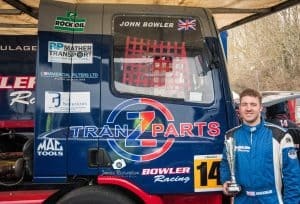 The TW Bowler Team stormed their first weekend for the opening of the 2018 British Truck Racing Championship at Brands Hatch by qualifying in 4th place. The first race was a challenge but the team managed to pull through into second place for a podium finish. This continued to the second race where the team managed to hold on to the second place until the pit straight where an unfortunate slip around Paddock Hill bend resulted in a fifth place finish. However, due to a change around in timetables, race three was a ‘did not finish’ (DNF). The final race of the weekend was started with a failure as wet conditions lead to a failure with the windscreen wipers. But the team didn’t let this hold them down for too long and managed a fifth place finish. The next leg of the championship is set to take place in Germany on the 30th June. The team are now in preparation for some more podium finishes, good luck to the team! TW Bowler are a family run plant, waste & heavy machinery haulage company based in the North West of England. Visit their website here for more information. Get the latest on the Porsche Carrera Cup here.